Lower East is in Kolding, Jutland. We had a great experience at the old castle Koldinghus, which is an art space showing art and design exhibitions. 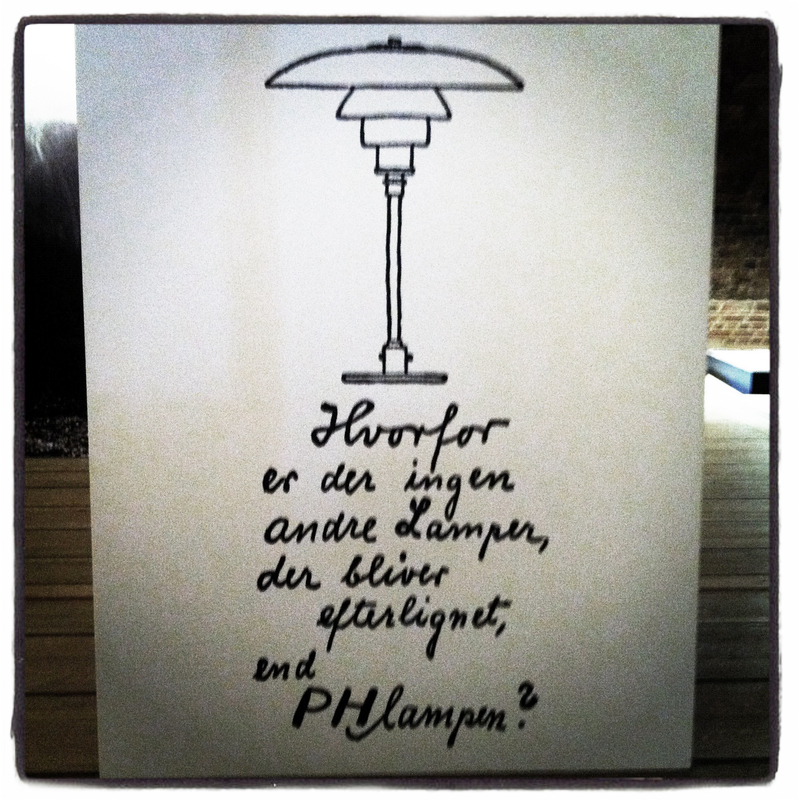 We saw the beautiful exhibition “The PH-lamp – the light design of Poul Henningsen”. The design of the exhibition was a great combination of big photostats of rooms and interiors and real prototypes of the many variations of the PH-lamp. 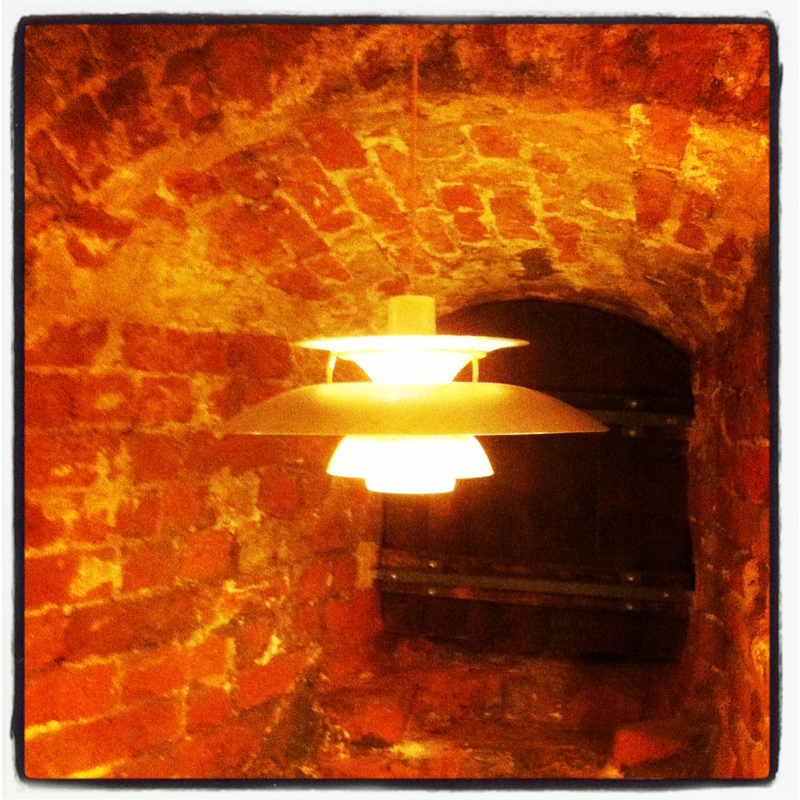 All these still modern looking lamps in an effective golden/dark light setting in the old castle ruin was amazing. 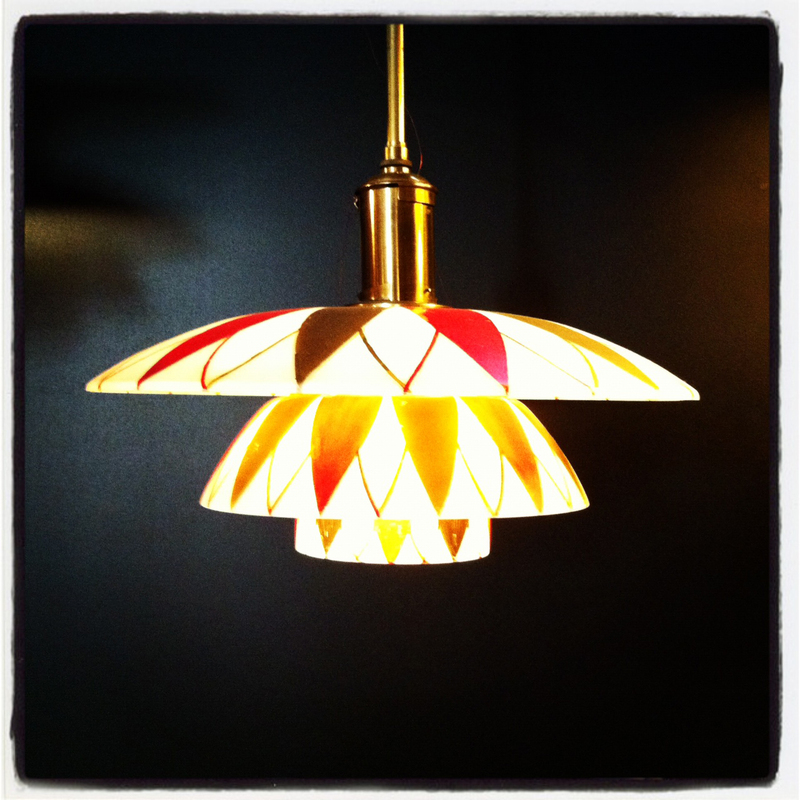 Go there and have a light and design experience. The exhibition is on view until 26 August 2012. 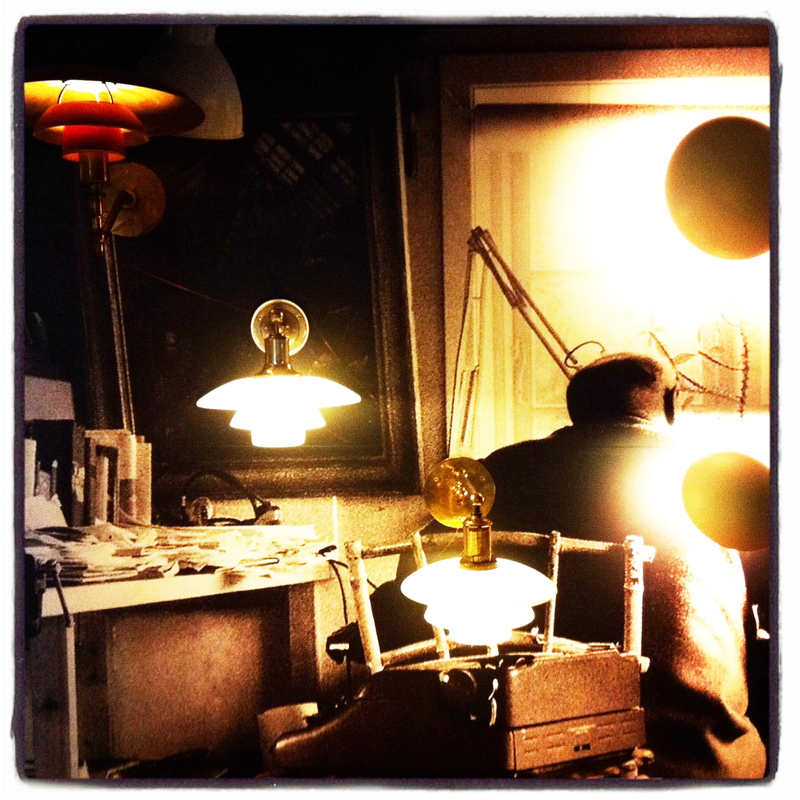 Poul Henningsen (1894-1967) designed lamps which have become celebrated icons of Danish design. A large number of them have become classics and are today to be found in homes, offices and public buildings all over the world. For this exhibition the museum is inviting its visitors to a grand PH light festival in the soaring heights of the Ruin Hall in the South Wing of the castle. All the variants of the “Artichoke” will be floating there side by side with “Bombardment” chandeliers, spiral lamps and some of the more exotic pendant lights. The exhibition will take a close look at PH’s different lamp principles and give an introduction to his philosophy of lighting, which set new standards for light design. 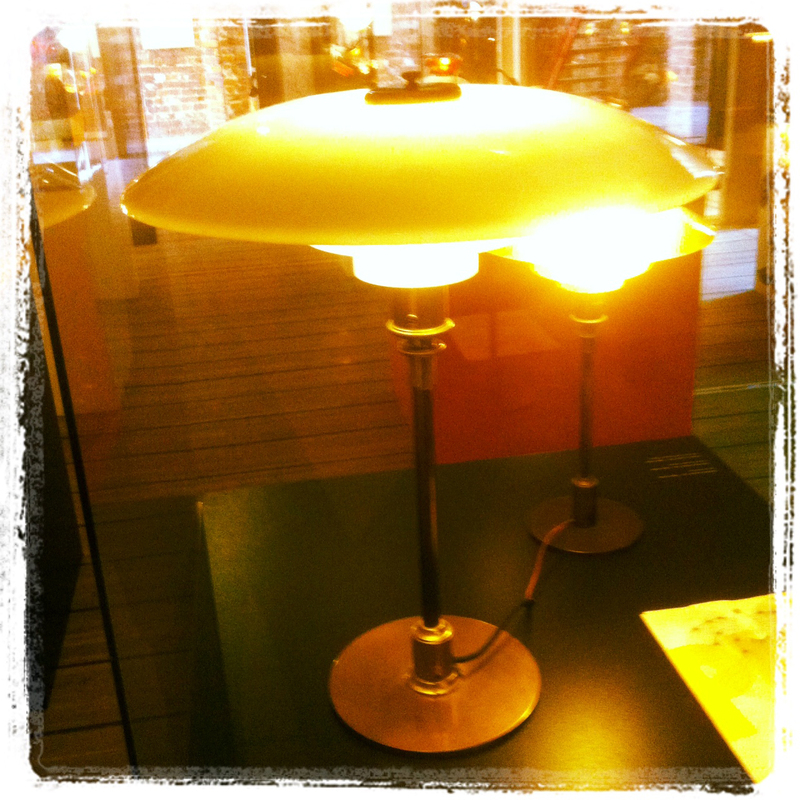 The exhibition shows all the well-known PH lamps – and a number of the less well-known ones – from the early beginnings in 1924 until the present day. 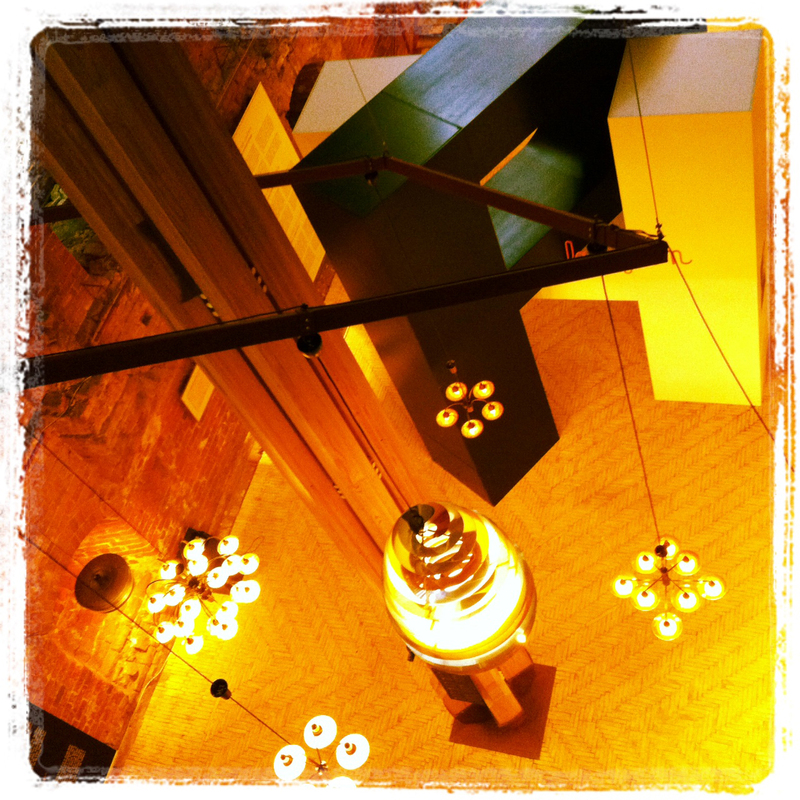 Today the initials PH still represent, over the whole world, the highest quality in modern lighting design.